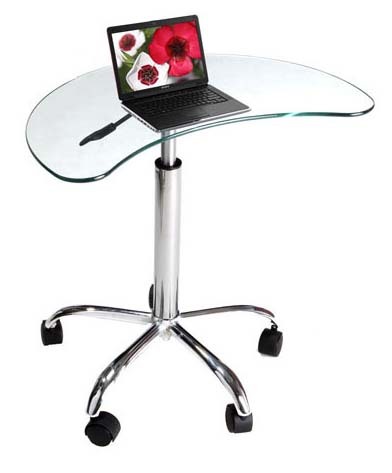 More on the RTA Mobile Glass Kidney-Shaped Laptop Stand LT-020 below. This contemporary clear glass utility stand was designed for a laptop. However, it has many uses and can be used as a utility stand for other wireless devices. 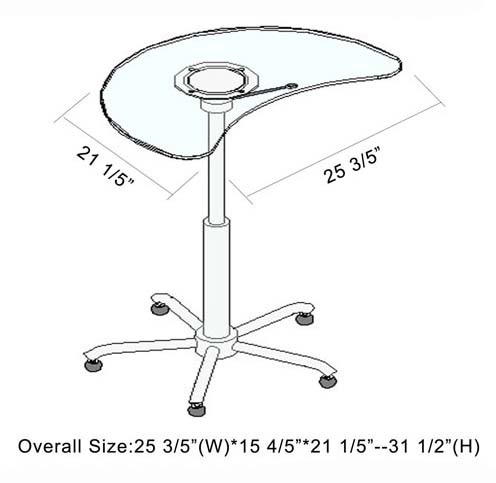 The casters allow for easy mobility.